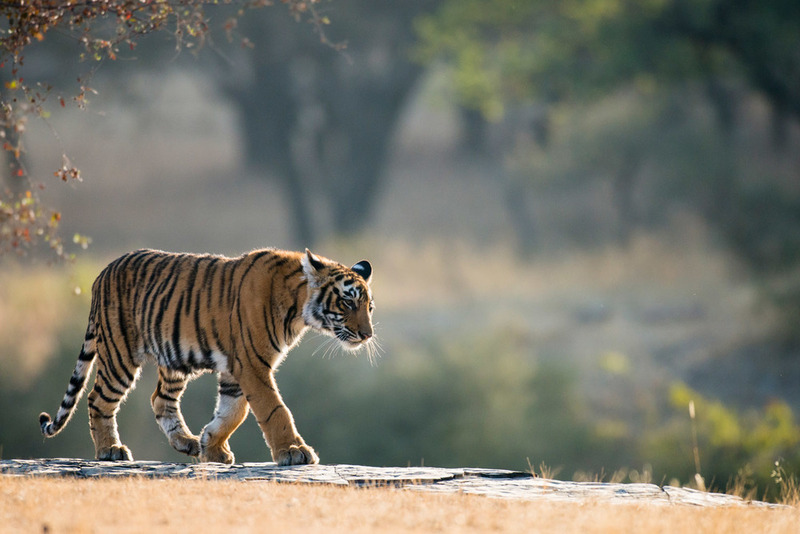 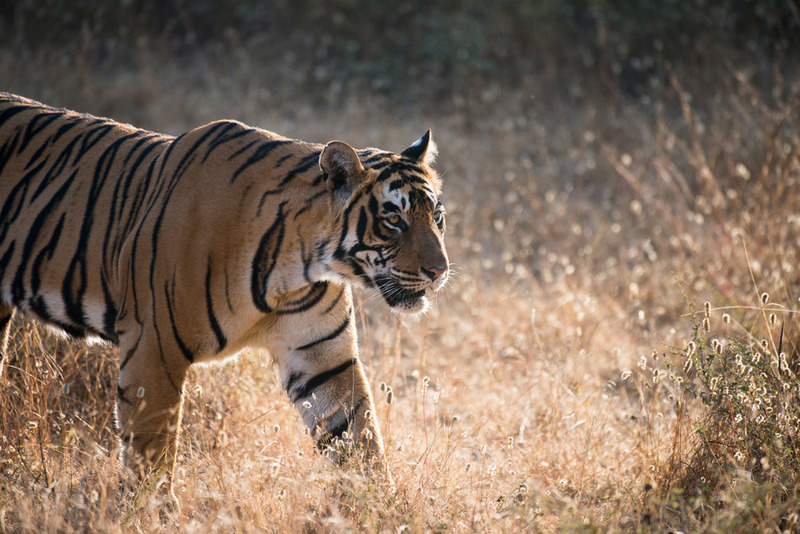 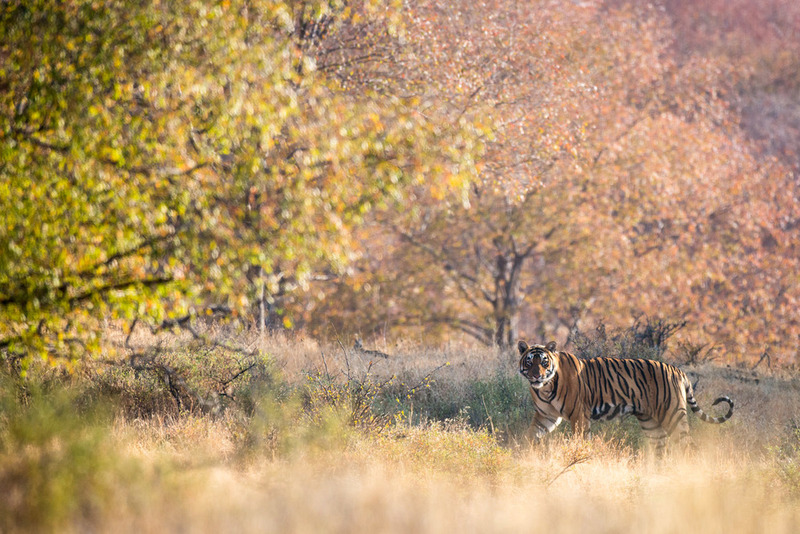 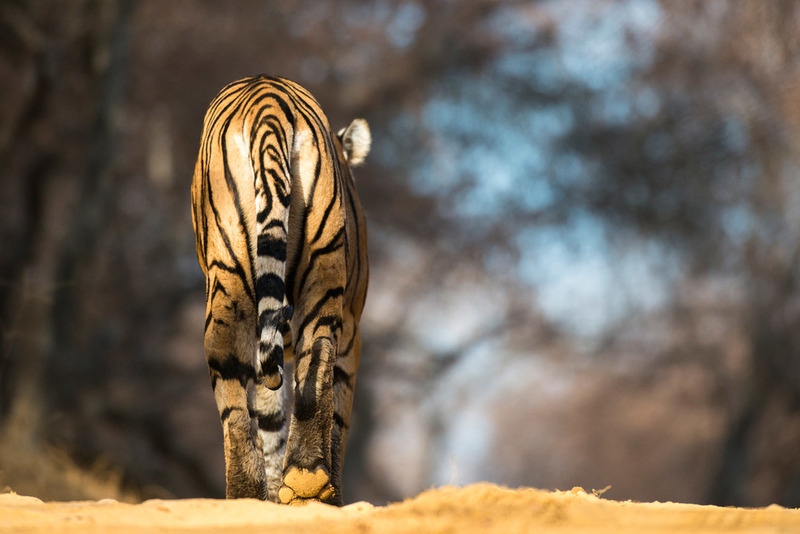 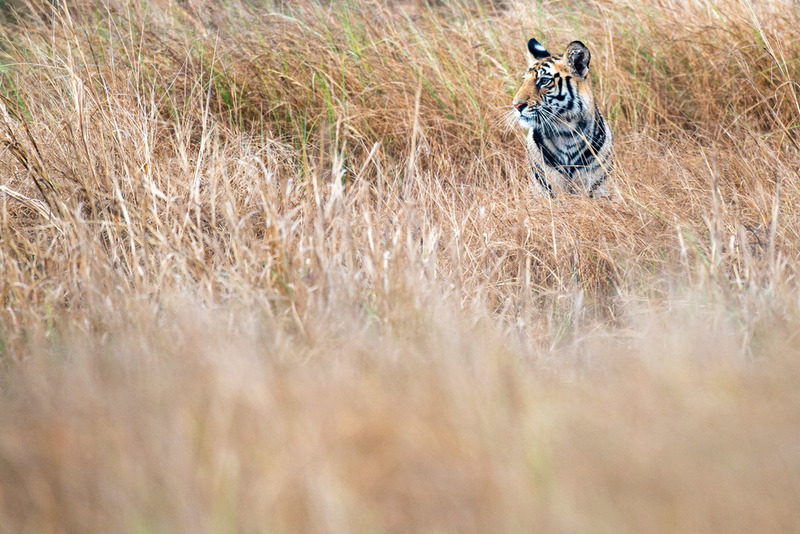 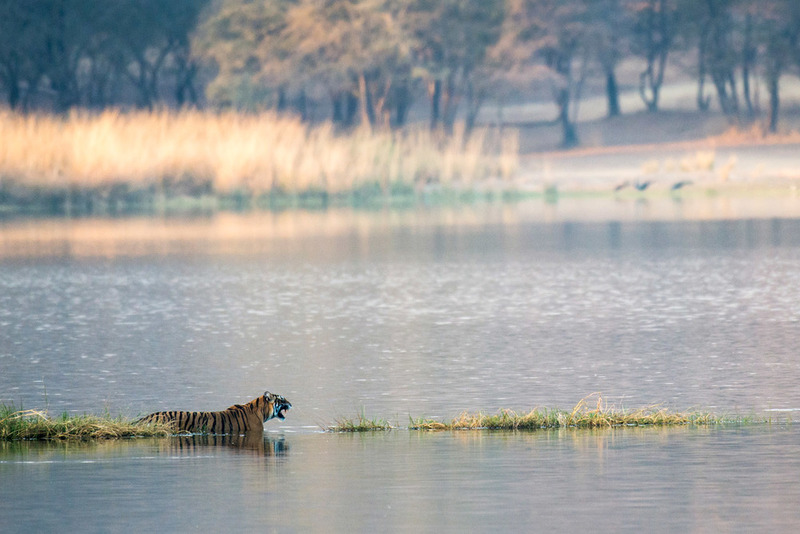 To date, I've worked in four National Parks in India; Ranthambhore, Bandhavgarh, Kanha and Kaziranga all of which which are all classed as Tiger Reserves by the Indian government's Project Tiger. 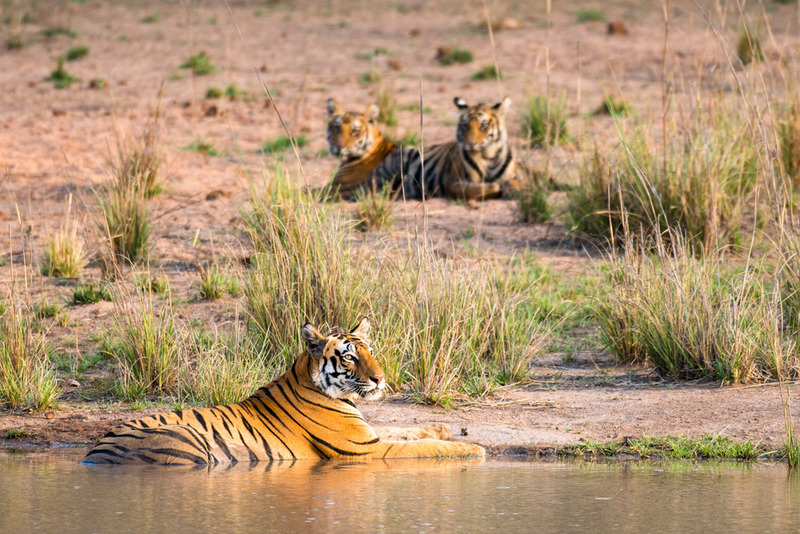 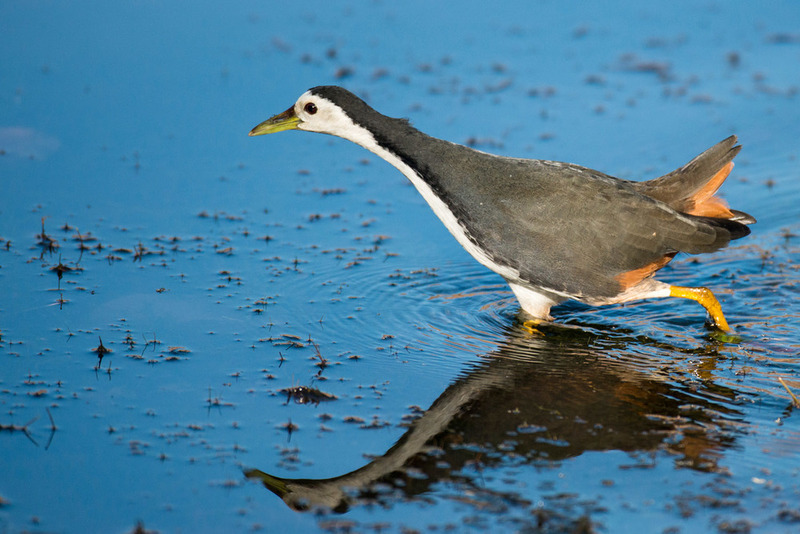 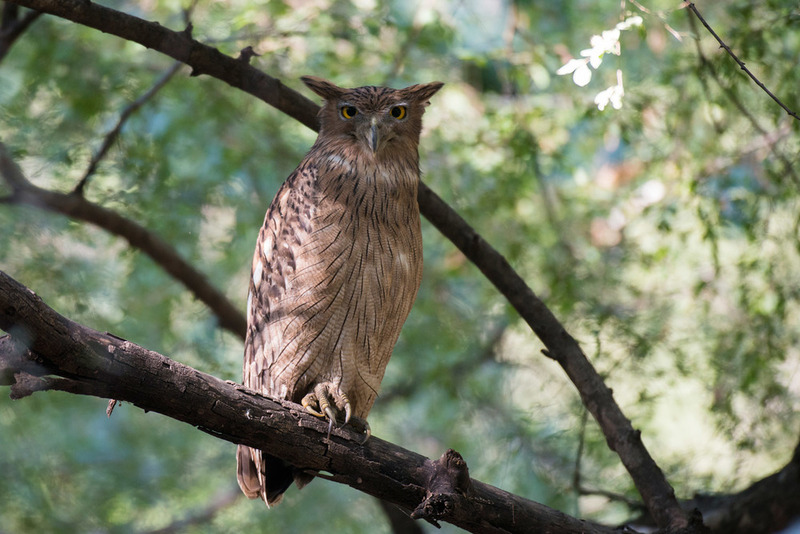 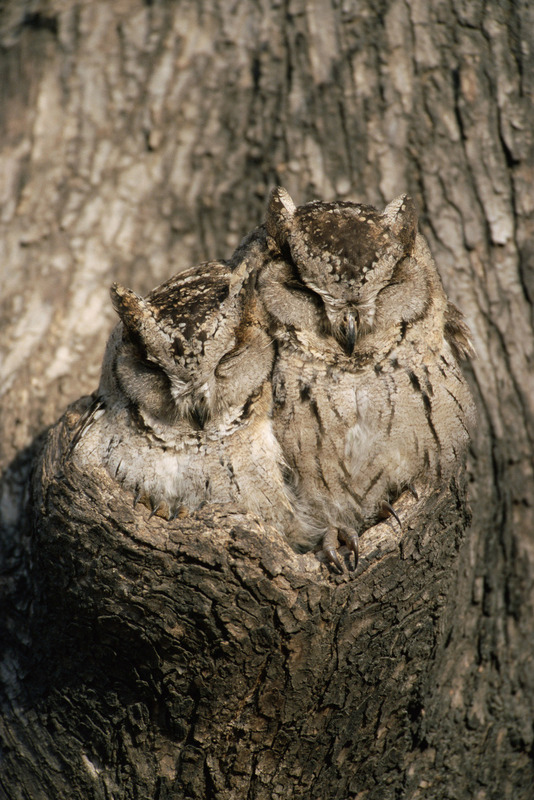 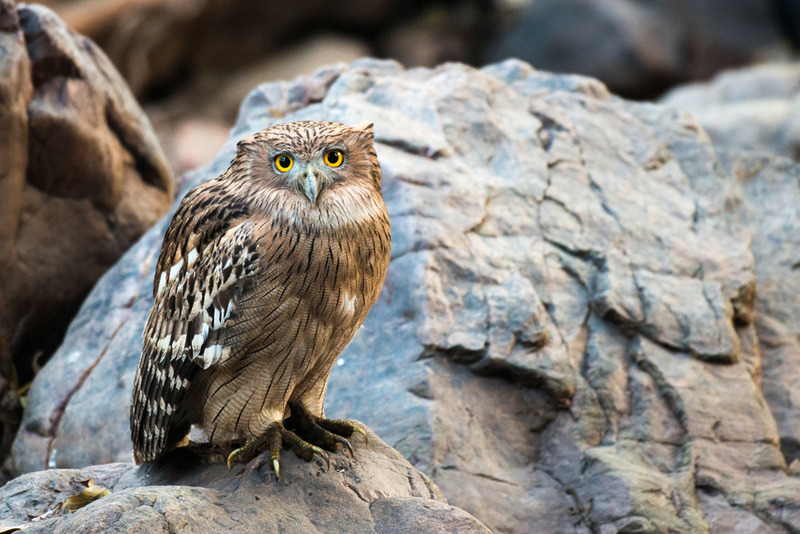 As well as providing vital habitat for the surviving Bengal tiger, they are also home to a vast array of other mammals and birds some of which are shown in this selection. 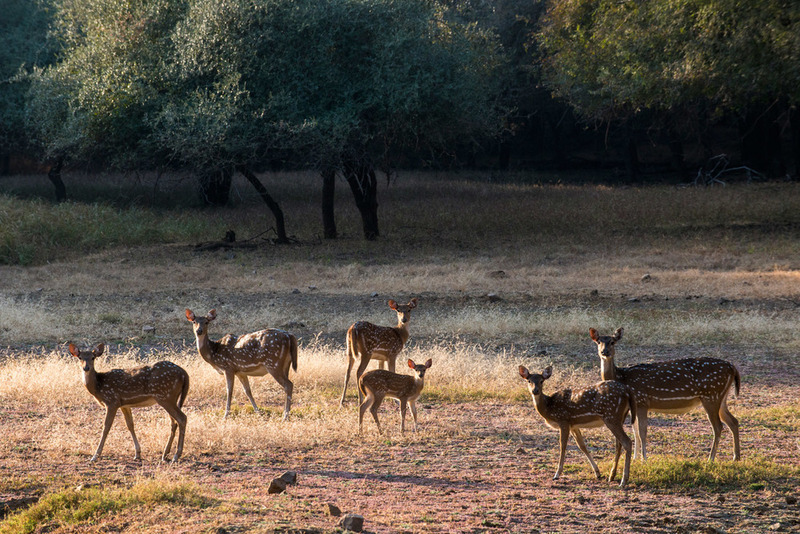 Ranthambhore National Park in south western Rajasthan is famous for its wild tiger population and was once a private hunting ground for the Maharajas of Jaipur. 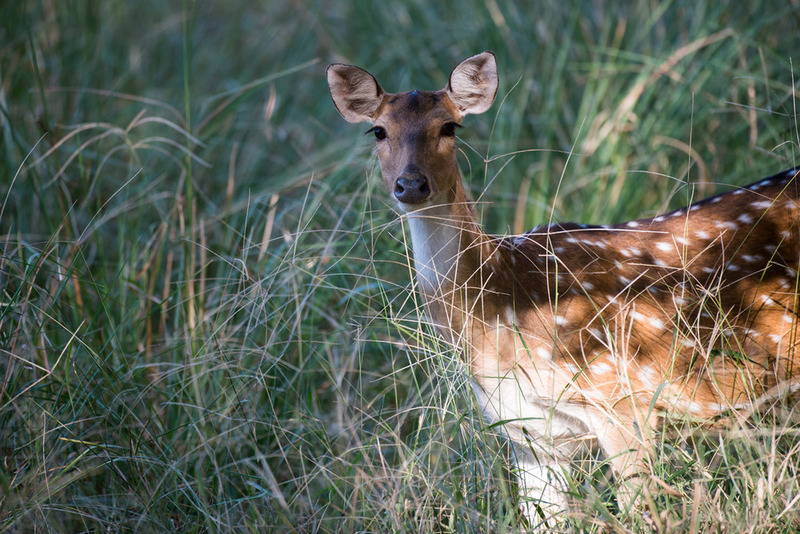 Its name comes from the vast fort that stands in the middle of the forest which is thought to date back to 1110. 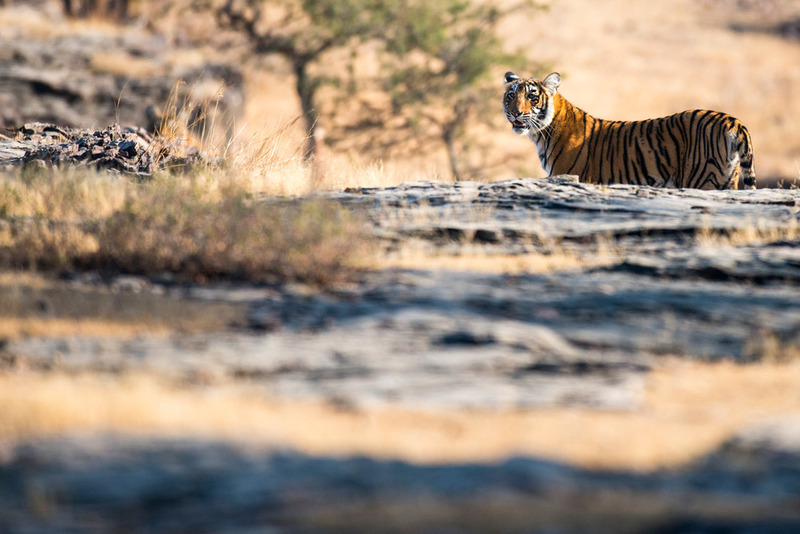 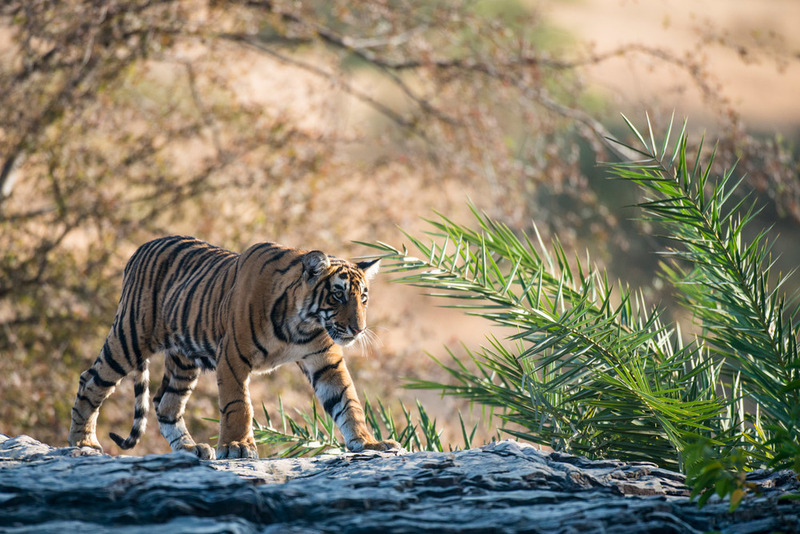 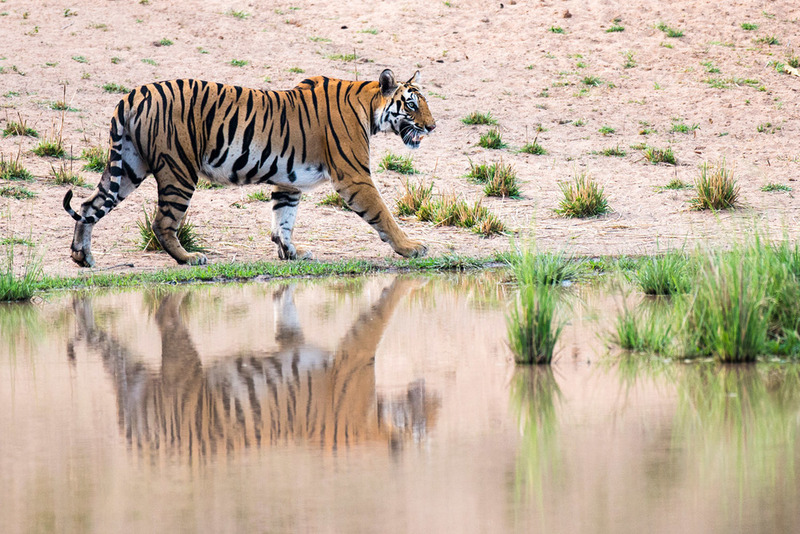 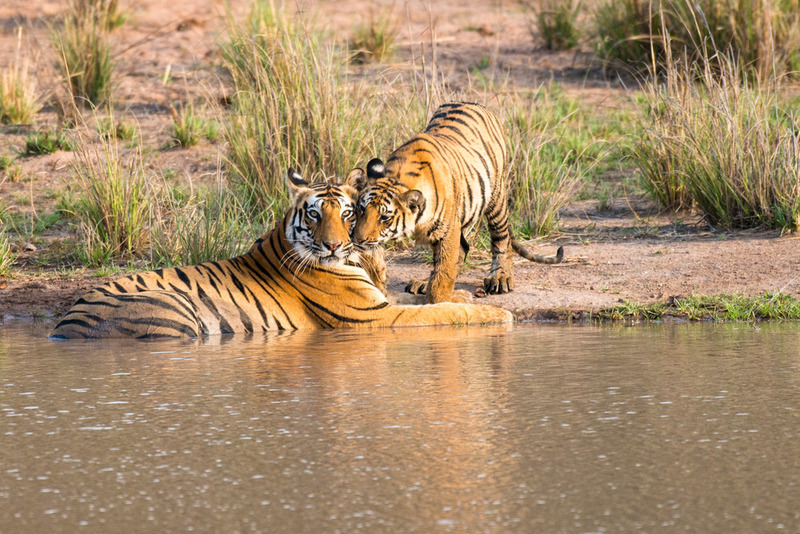 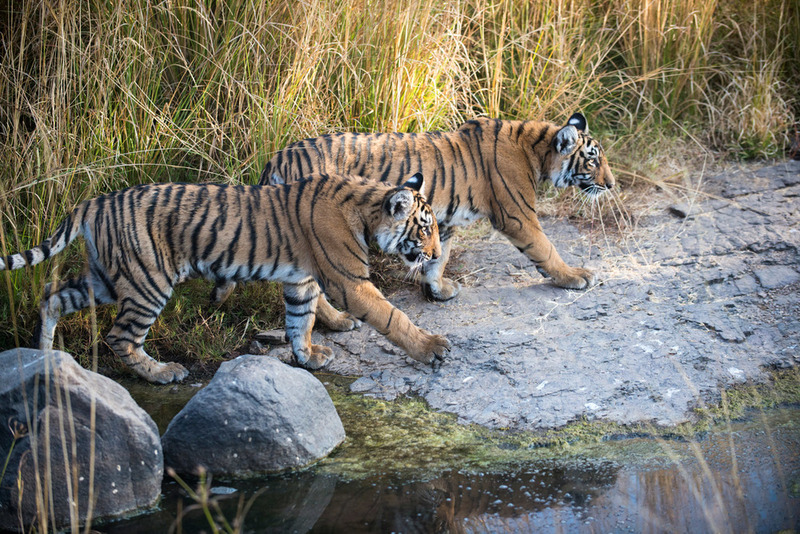 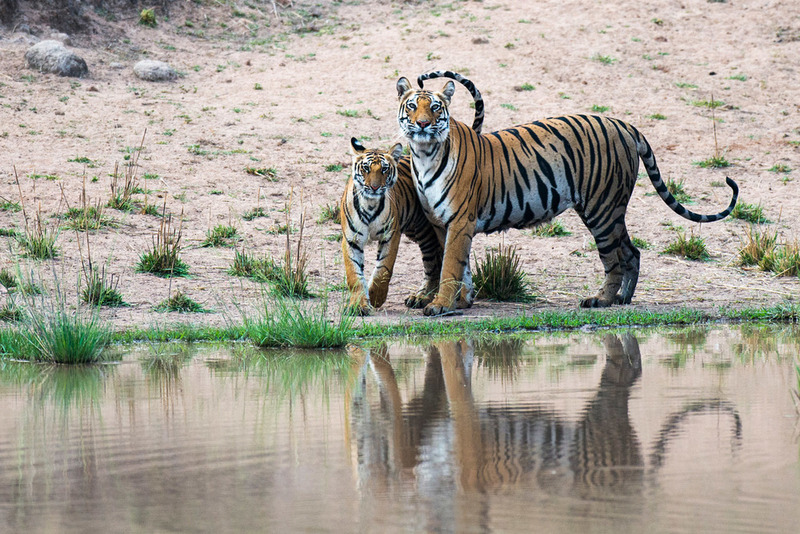 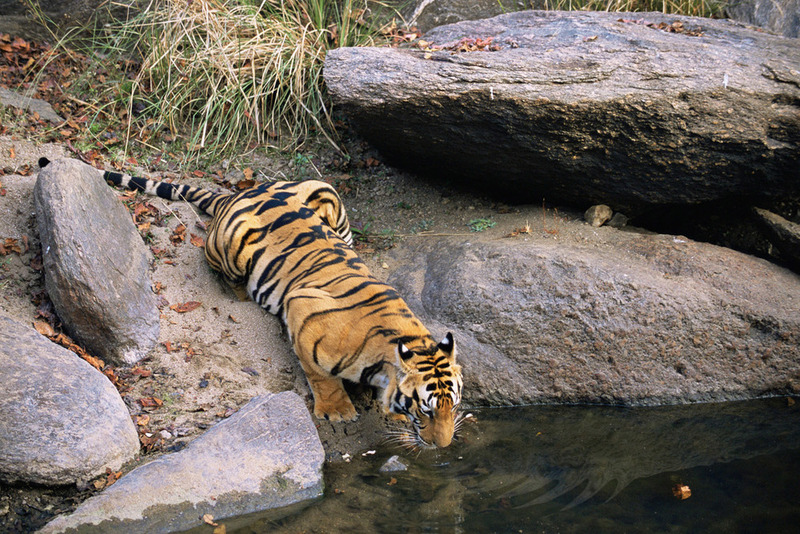 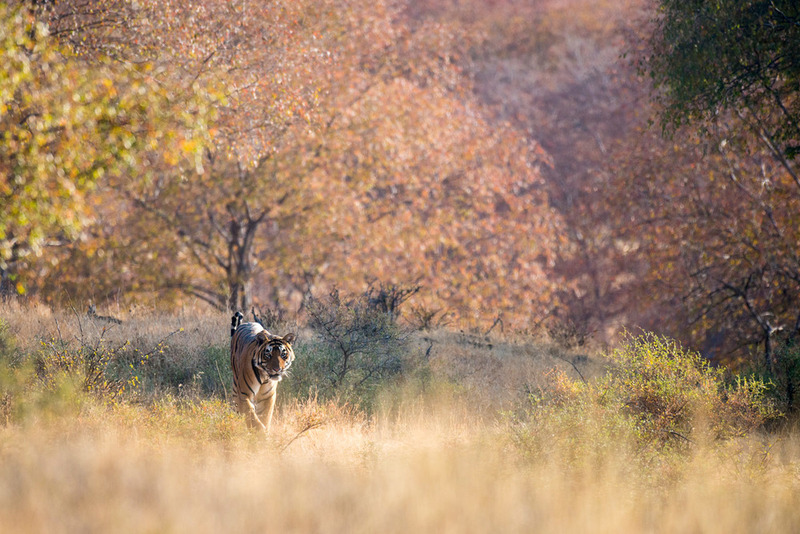 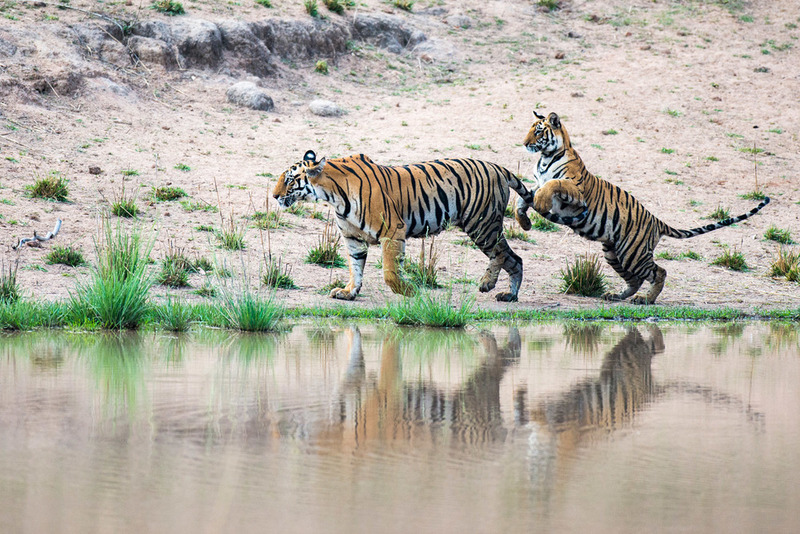 At 392sqkm, Ranthambhore is one of the smallest 47 Project Tiger reserves in India which can all be viewed here. 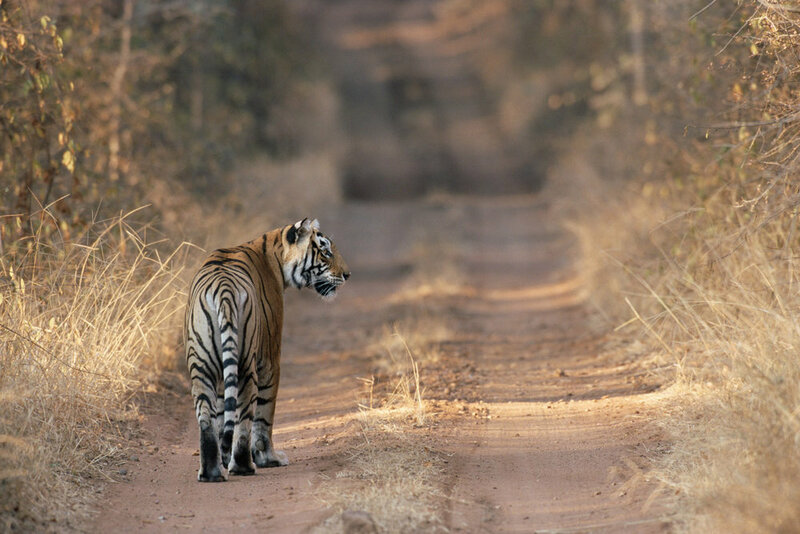 Bandhavgarh National Park, situated in the central state of Madhya Pradesh, is one of India's most popular wildlife reserves and at 438sqkm covers a similar area to Ranthambhore. 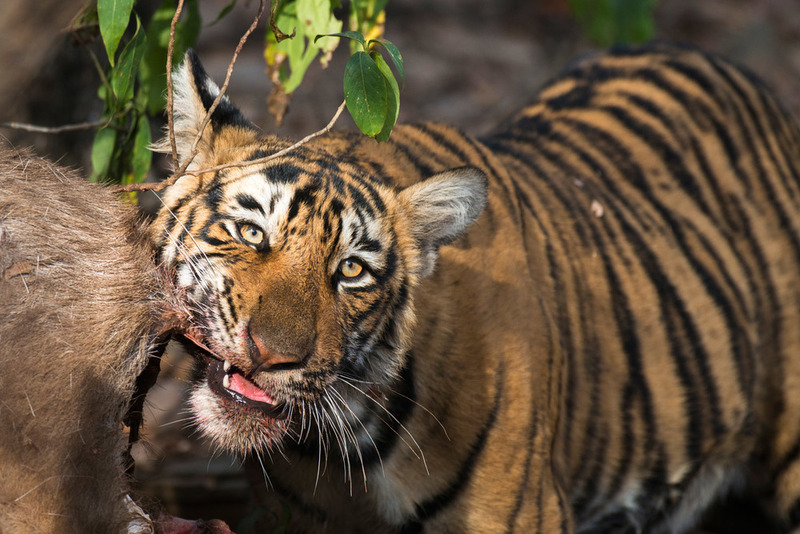 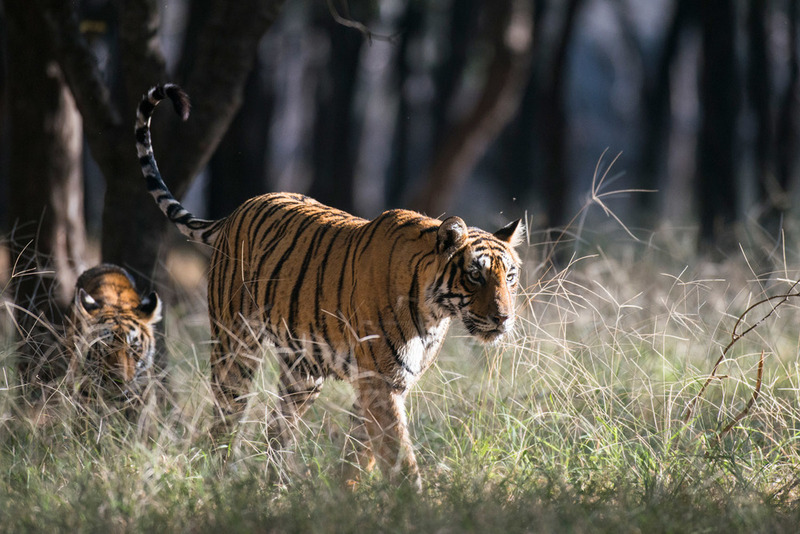 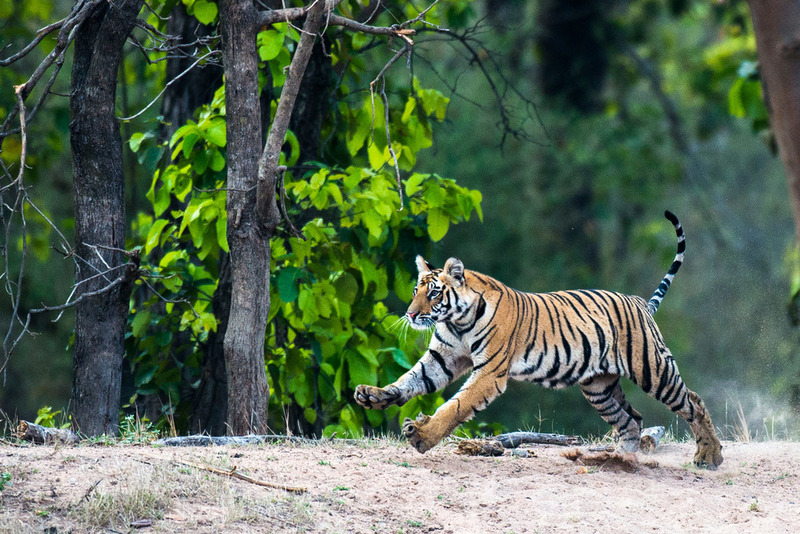 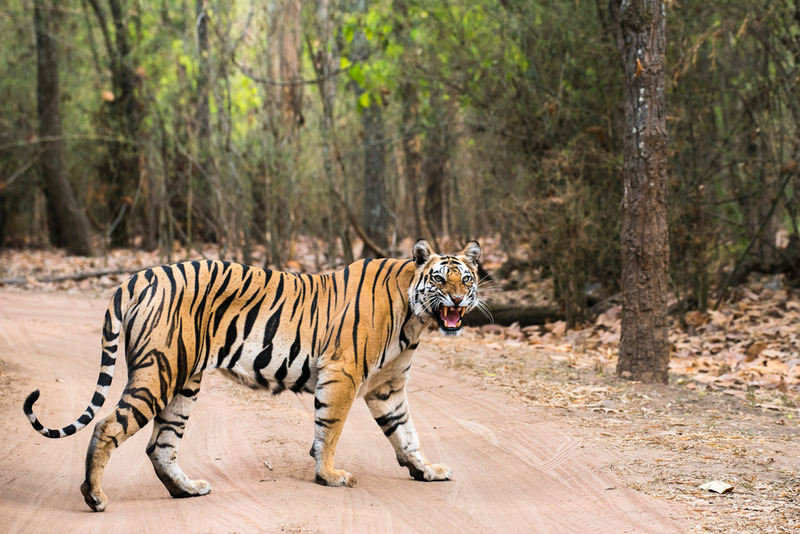 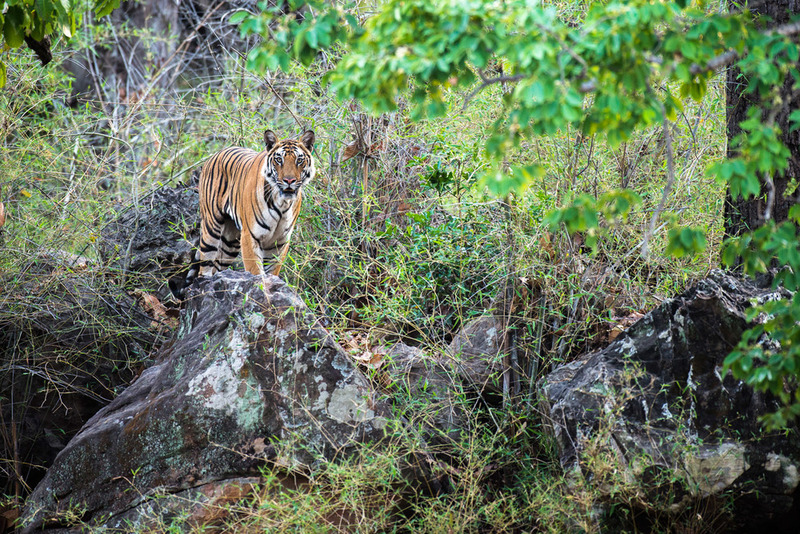 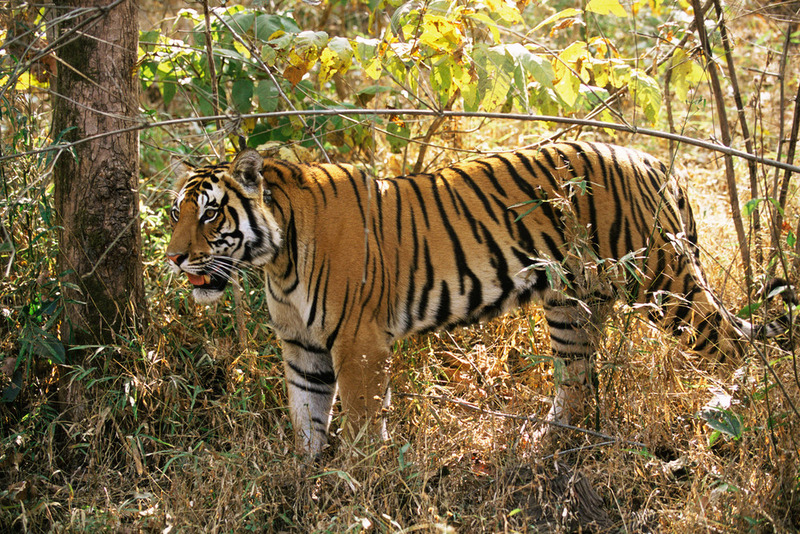 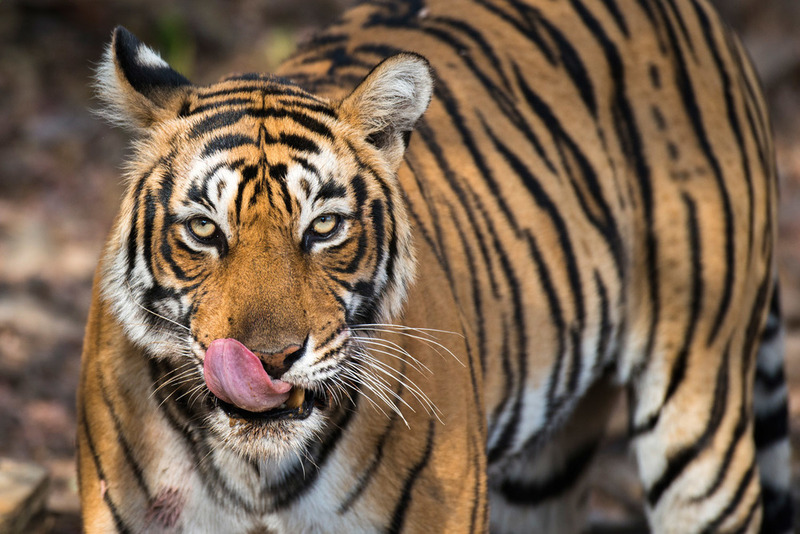 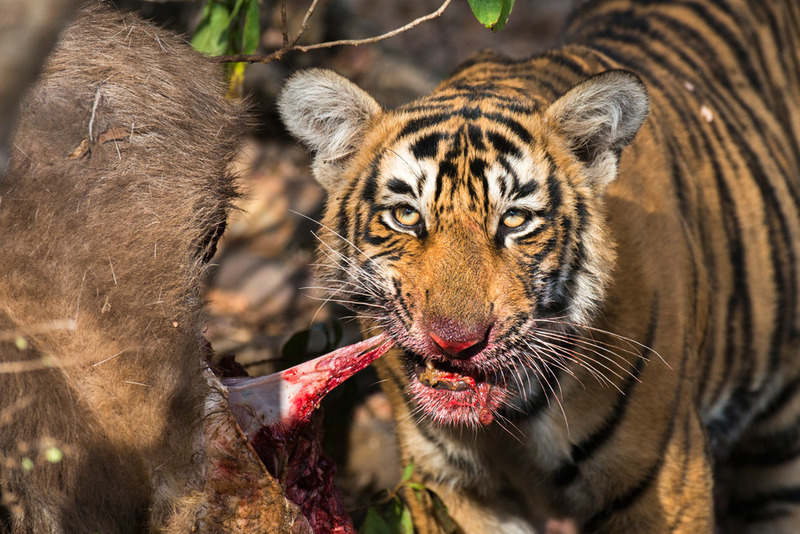 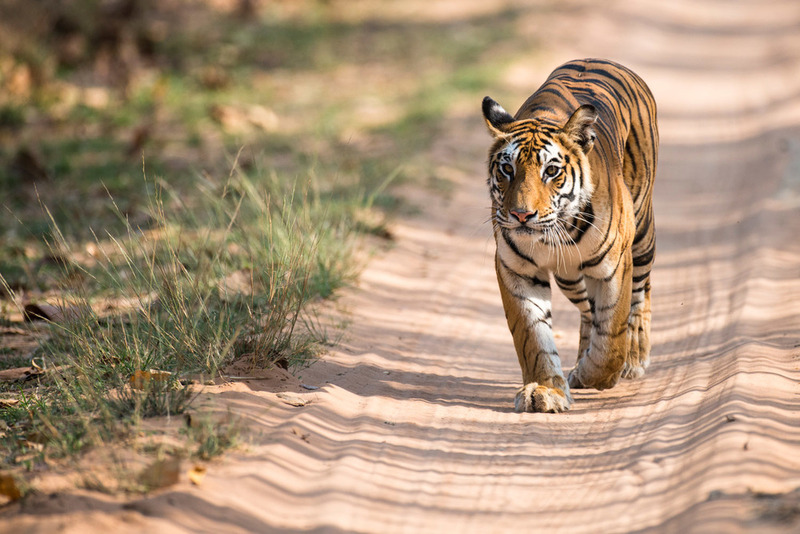 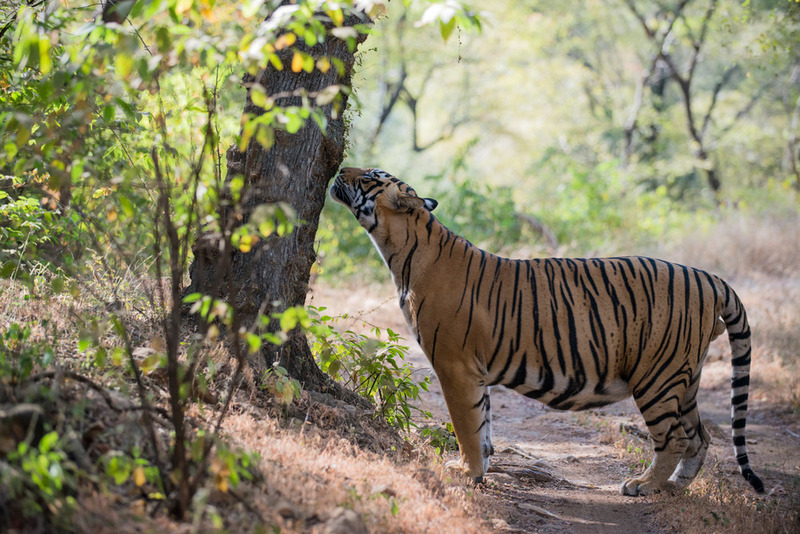 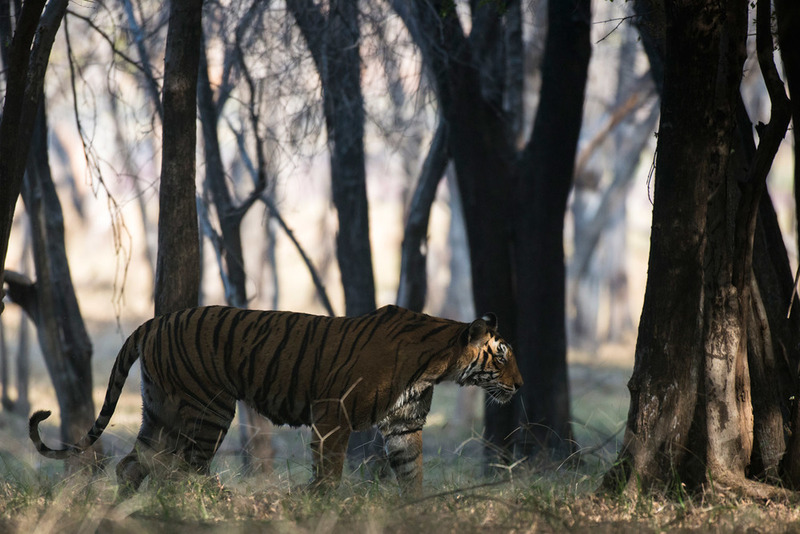 Bandhavgarh's tiger population density is one of the highest in India but it is also rich in other wildlife including large populations of leopards and sloth bears. 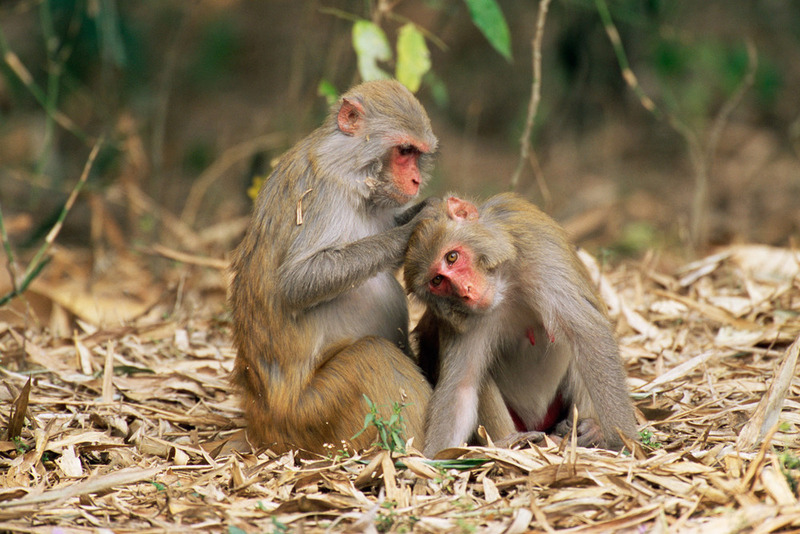 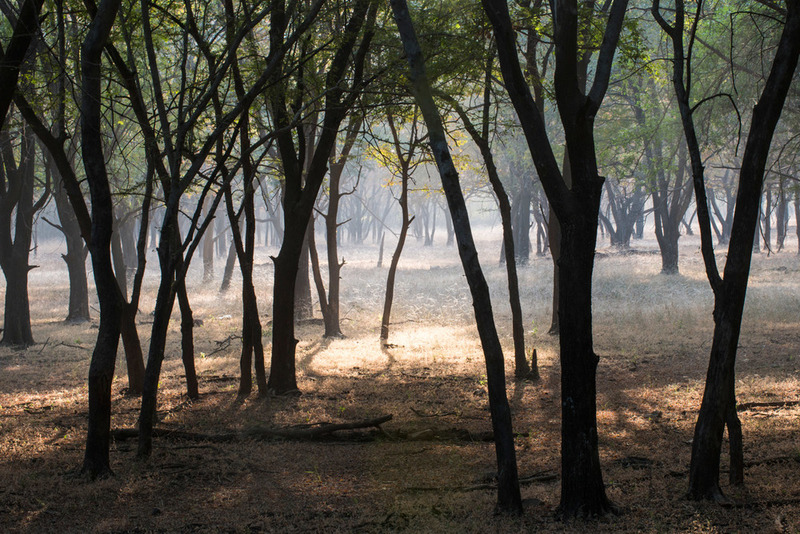 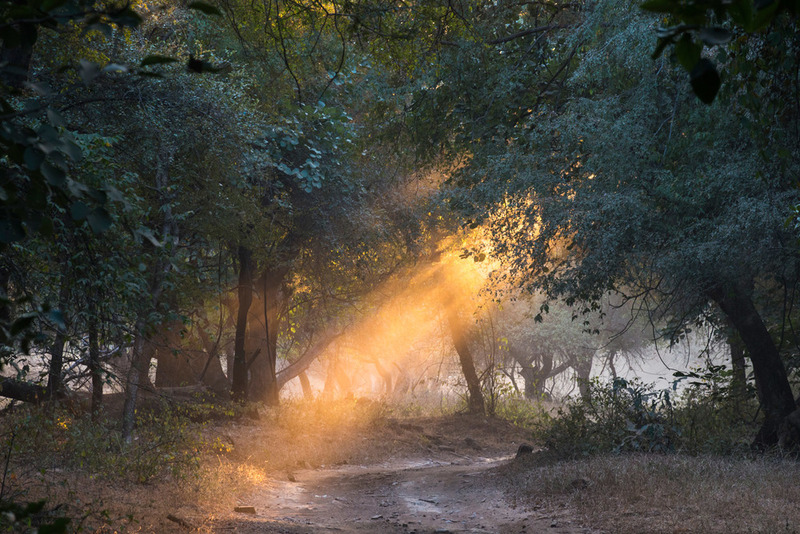 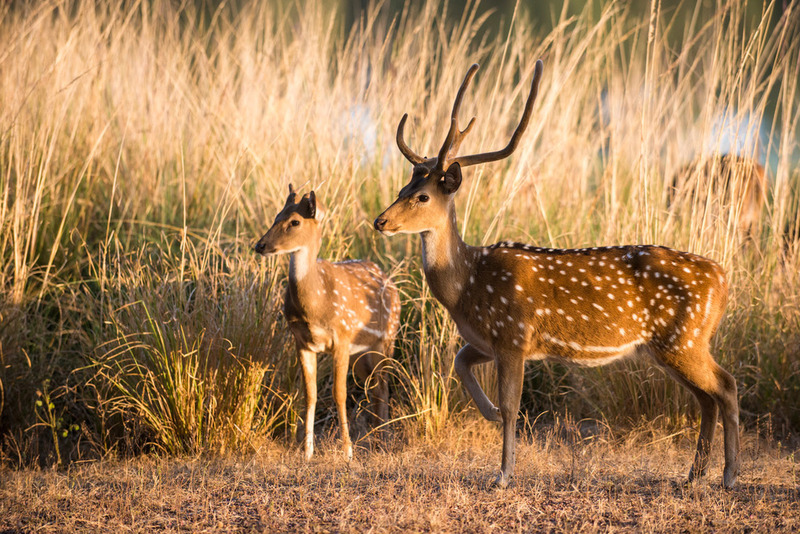 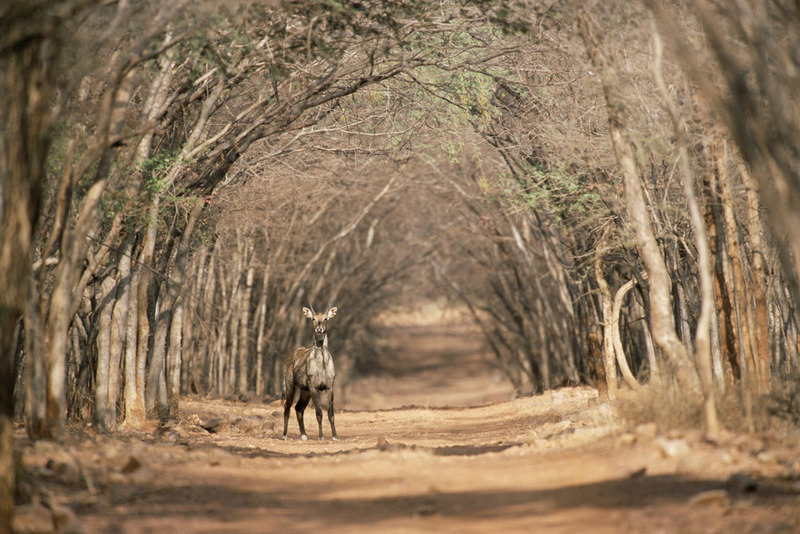 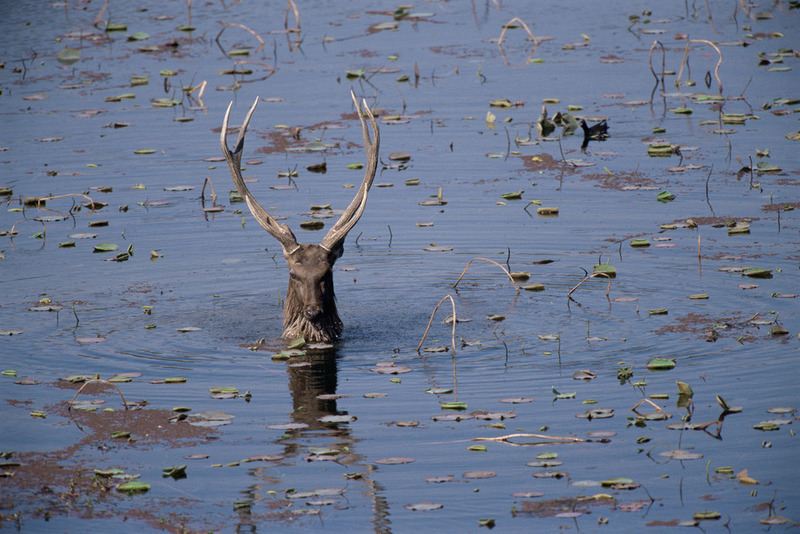 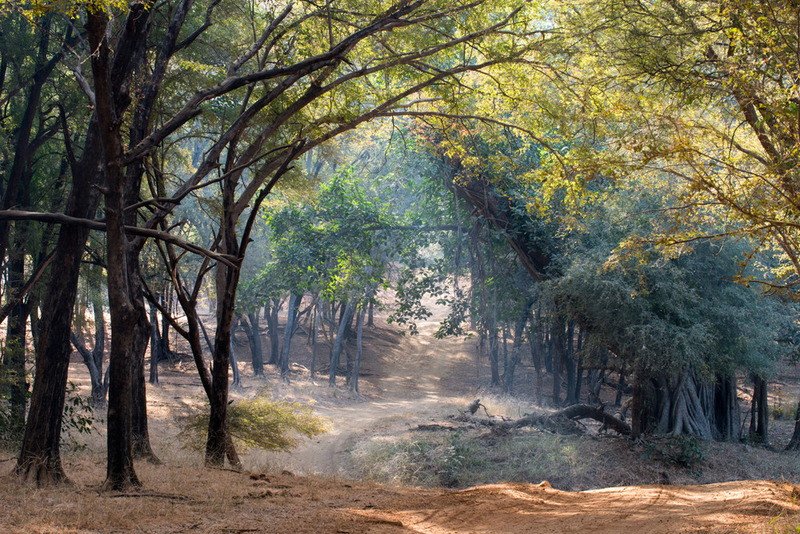 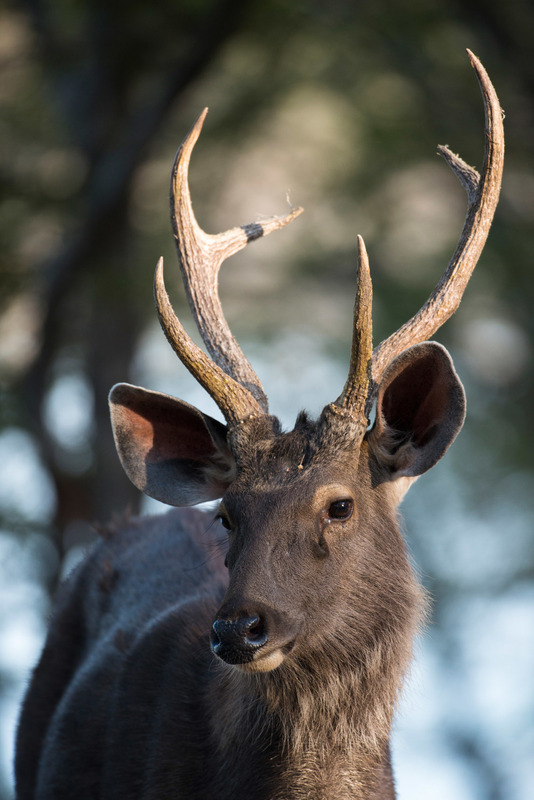 Kanha National Park also lies in Madhya Pradesh in the Central Indian Highlands about 160km southeast of Jabalpur. 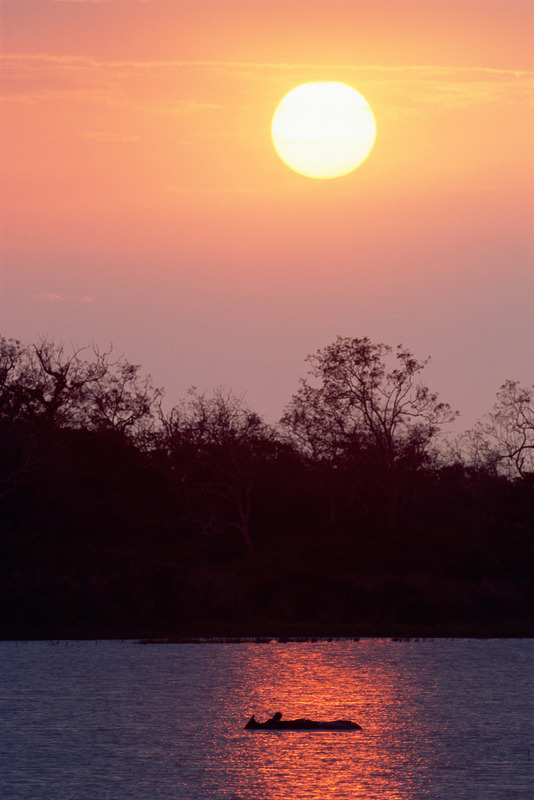 The reserve consists of a core area of 940sqkm which is surrounded by a buffer zone of 1,005sqkm. 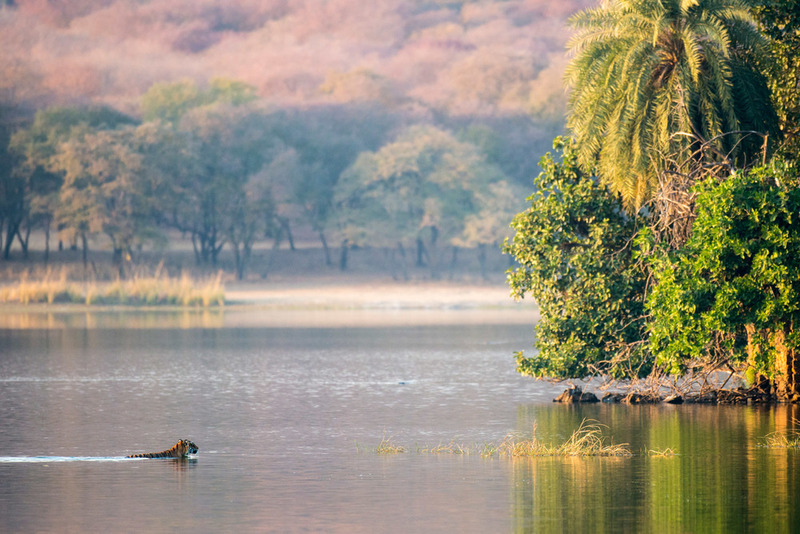 In the 1890s, this region was the setting for Rudyard Kipling's 'Jungle Book' stories. 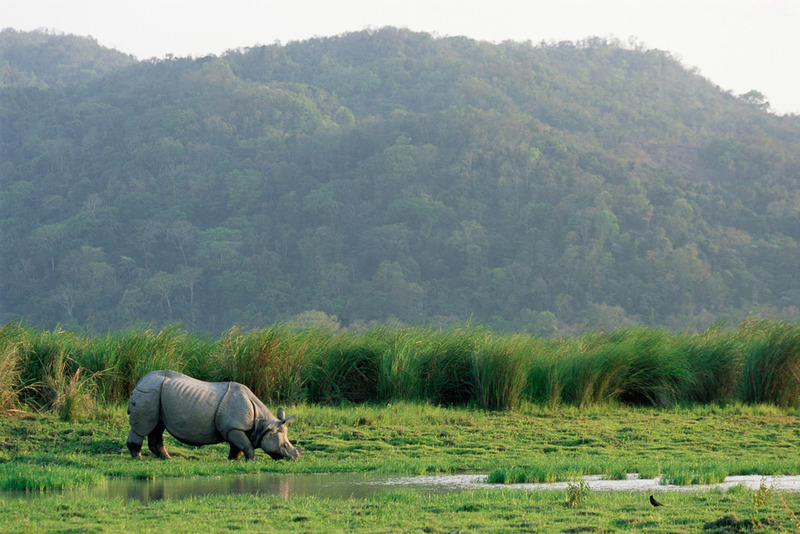 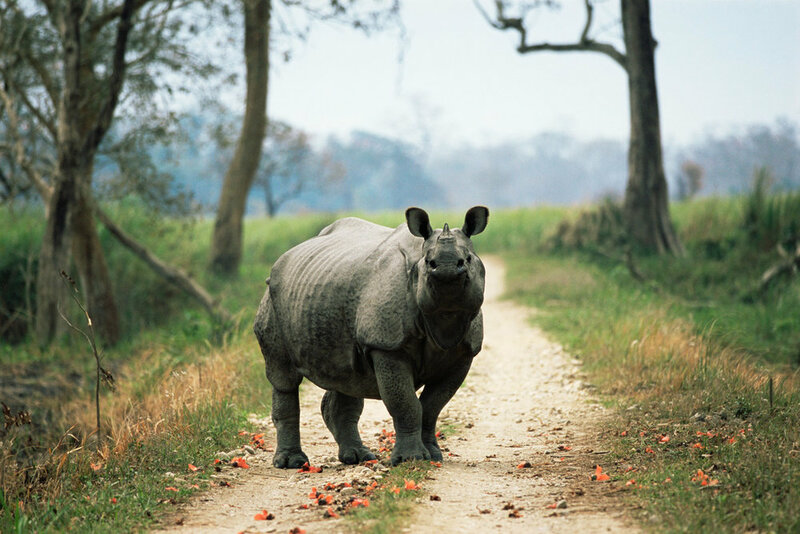 Finally, Kaziranga National Park lies in the floodplain of the mighty Brahmaputra River in the north-eastern state of Assam and is home to around 75% (1800) of the remaining world population of the Indian or great one-horned rhinoceros. 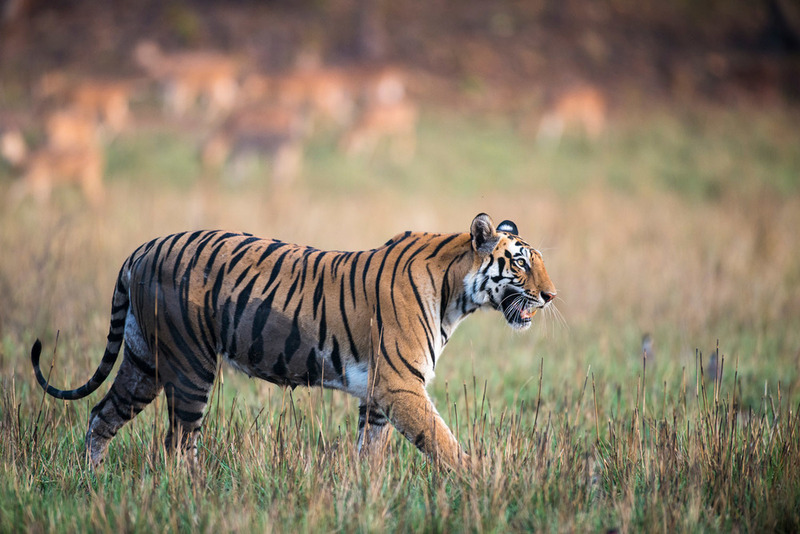 There is also a healthy population of Bengal tigers (around 100) but their shy nature and the region‘s tall ‘elephant‘ grasses make them very difficult to see. 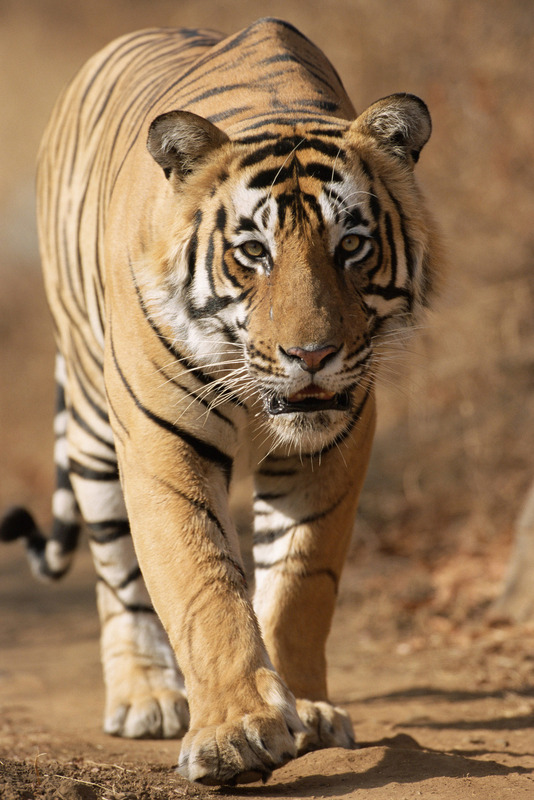 The Bengal tiger is found primarily in India with smaller populations in Bangladesh, Nepal, Bhutan, China and Myanmar. 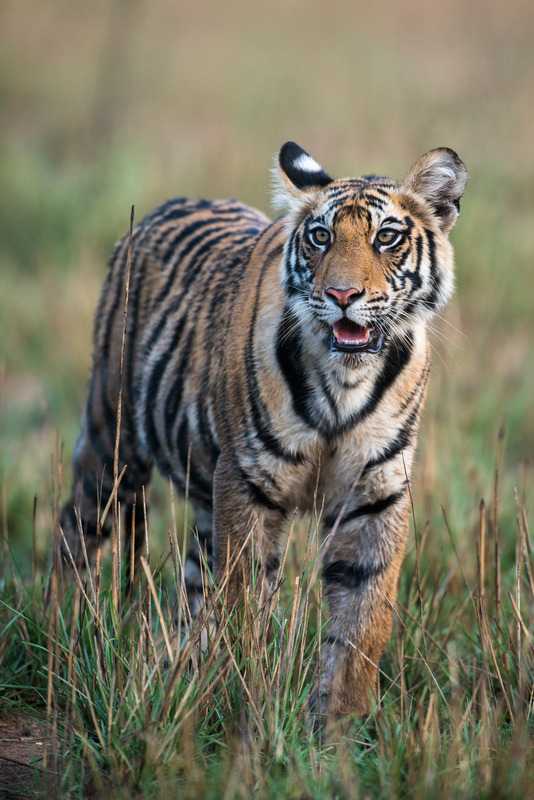 It is the most numerous of all tiger subspecies but there are fewer than 2,500 left in the wild with poaching to fuel the illegal trade in body parts in Asia being the largest immediate threat to their remaining population. 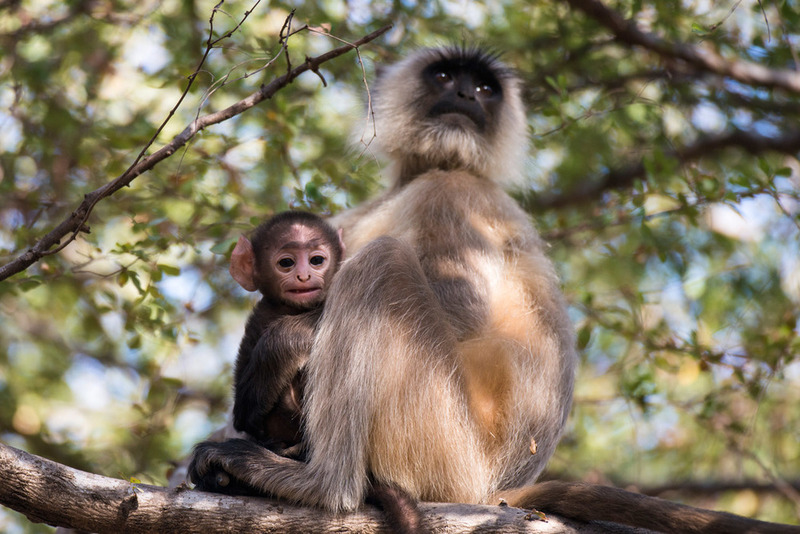 For more on this and the fight to save them please go the website of the Wildlife Protection Society of India.